Pharma Franchise For Ortho Medicines – Owning a quality range of orthopedic medicines and products drug range can be quite helpful in bring good income and meet the different needs of your customers. 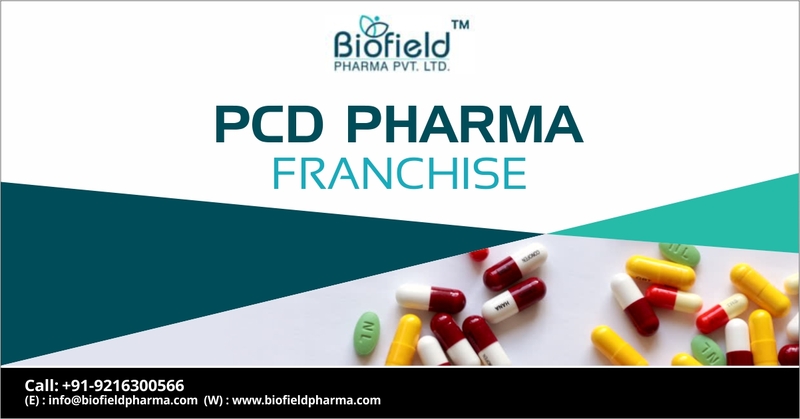 Biofield Pharma is amongst the best-known ortho PCD companies in India to bring you an attractive range of ointments, tablets, capsules, injectables etc. We have NSAIDs, pain relievers, anti-seizures, anti-depression medicines, over the counter medicines etc. You could become a member of our company by simply being a member of our company through pharma franchise for ortho medicines in India. You can have your own business at the ease of investment plans. Biofield Pharma brings you a golden chance to start your own business in your favorite location. You can even expand your current business opportunities with best ortho franchise company ‘Biofield Pharma. Our company offers you DCGI approved drugs that are made under the supervision of best quality control experts. The whole manufacturing process takes place on GMP & WHO units that are situated in eco-friendly and non-contaminated. You will get a good growing business offering attractive marketing tools, incentives schemes, enjoy reasonable rates, good profit margin etc. Come to join us for pharma franchise for ortho medicines and get to crack a great deal with us. You can get more details about the business ventures near you which are available for monopoly based pharma franchise. Directly call at +91-9216300566, +91-9216300166 or leave a comment in your contact. If you want you can even email at info@biofieldpharma.com. Here, you will get high-quality ortho drug solutions along with the good business deal. Looking at the increasing ailments you will see that weak bones, joint problems, muscles issues, pain in the body will be quite common especially with the aging population. These medicines have become household medicines where everyone has ortho medicines available at home. The demand for these medicines is quite frequent and you will enjoy a good sale at your respective location. Pharma franchise gives you a perfect business partnership where you could start your own business and make a good earning out of it. The ortho drug market has a growing popularity due to its good demand owing to the growing geriatric population. They have been a part of many therapeutic segments which involved acute to severe pain in the joints, muscles or bones like seizures, antidepressants used in arthritis and orthopedic conditions etc. Almost every house has it as a frequent medicine to cure common pain like backaches, headaches, body pain, muscle strain etc. Thus, you get to enjoy a good demand. When it comes to effective ortho medicines Biofield Pharma has been bringing up great solutions. Our ortho range has been prepared under the guidance of experts who have years of experience in bringing up quality drug solutions for pain relief in joints, muscles, and bones. We have the best quality testing equipment and devices that help us combine drugs that give 100 percent results. These are tested efficiently to make sure that they are getting the defect-free range. These medicines are available in forms of tablets, capsules, injectables, ointments, syrup etc. Non-steroidal anti-inflammatory drugs (NSAIDs) etc. You will be getting attractive marketing tools from the company along with many benefits where you could be your own boss. Biofield Pharma is well known for being Top Ortho Franchise Company in India. Earn an attractive income and turn the franchise into full-time PCD franchise. Connect for more!